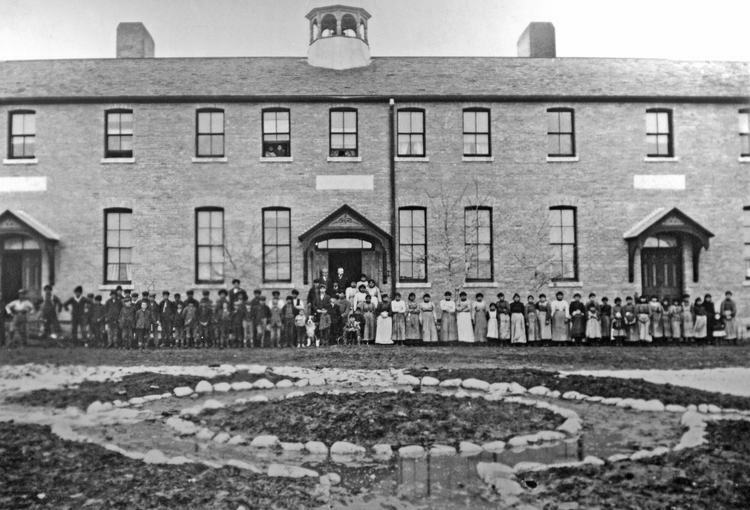 The Regina Indian Industrial School (RIIS) operated from 1891-1911. It was demolished by fire in 1948, but after the building was gone, the remains of over 30 students were left behind in a small, mostly unmarked cemetery. The site is located at 701 Pinkie Road, just west of Regina. It has changed hands many times, but is currently in the possession of a private owner who is unable to maintain the cemetery or give it the attention it deserves. A group of students from the University of Regina are starting a social media campaign; the focus of the campaign is to draw attention to the RIIS site (and the issues surrounding the site) and to support the ongoing work that RIIS Commemorative Association Inc. and other community orgnizations have done thus far by putting pressure on the municipal, provincial, and federal governments to commemorate the site in alignment with Call to Action #75. SHARE! Using different social media platforms, share news articles and historical facts, as well as your personal thoughts/reactions. Make sure to use the hashtag #RIISup. Sign the petition for the commemoration of the RIIS school site. Start Project of Heart in your own classrooms/schools. Fill out and mail a postcard – this is something you can do on your own or with your students/school. Hold Mayor Fougere accountable to his commitment to implement the Truth and Reconciliation Commission recommendations.